Estrangement is an issue that affects royals and commoners alike - and it's more common than you'd think. There’s been a lot of buzz about the royal wedding: What will Meghan Markle’s dress look like? What kind of flowers will they have? Did you see the ring?! But among some of the fluffier topics is a serious one people can relate to a whole lot easier than a 3-carat diamond and a dress that cost six figures: family estrangement. 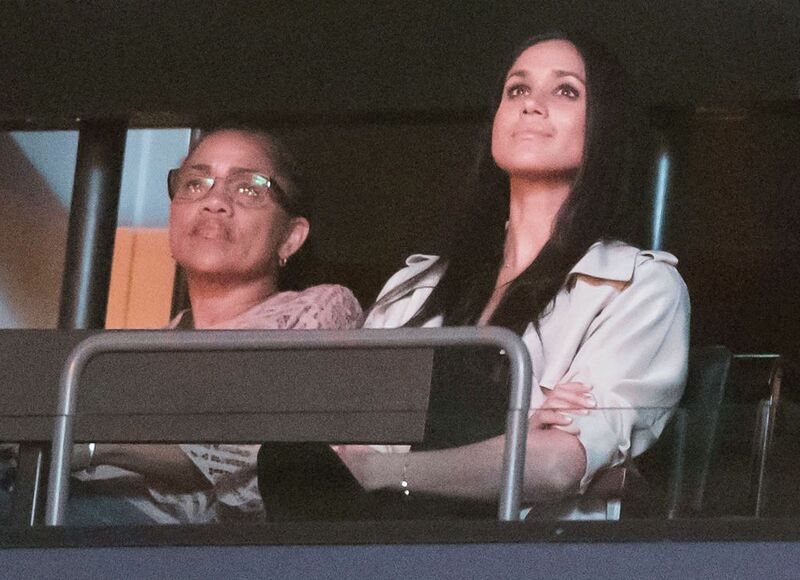 Kensington Palace recently confirmed Markle’s father will indeed walk her down the aisle, but her siblings aren’t expected to attend. And they’ve had some harsh words for their sister: Her brother wrote an open letter to Prince Harry telling him to call off the wedding, and her step-sister is writing a book called The Diary of Princess Pushy’s Sister. Yeah, they probably shouldn’t plan on going to the UK anytime soon. Family estrangement is more common than you think: 1 in 5 UK families will experience estrangement, according to research from Stand Alone, a charity that supports people experiencing estrangement. And it can come in many forms. “Some researchers have considered parents and adult children to be estranged if they don’t have contact with one another, but more commonly, researchers have focused on the quality of the relationship,” says psychologist Dr Lucy Blake. “For some, there may be no communication or contact. But for others, contact might be infrequent or unsatisfactory.” See: Markle’s relationship with her dad. He’s attending the wedding, but it doesn’t necessarily mean they’re no longer estranged. Of course, traumatic events like abuse, neglect, or drug abuse can lead to estrangement, but the causes aren’t always so cinematic. “Estrangement also happens when there’s an underlying issue that has built up over time,” Blake says. Some common issues: money, homophobia, favouritism (in the case of siblings), differences in values, and feeling a lack of support. Holidays and birthdays are the most difficult time to be estranged from your family, according to a report conducted by Stand Alone and the University of Cambridge. “These times are harder because the gap between what we wish our family relationships looked like, and the reality of what they actually look like, may be put into focus,” Blake says. Blake says it’s important to remember that you’re not alone during these times. “A great number of people experience challenging family relationships, even if estrangement isn’t often talked about openly,” she explains. Seek out friends in similar situations, or find an online support group. “There are numerous Facebook support groups for people who are estranged from a family member,” she says. While you don’t need to shout the status of your relationships from the rooftop, a solid support system is important. Remember: Estrangement is not rare, so there’s a good chance people in your social circle will be able to relate. Estrangement isn't always set in stone. Cycling in and out of estrangement is common. Take a break from social media if you’re feeling low, with the exception of the support groups mentioned above. “These communities could help you feel more connected and less alone,” Blake says. About 80 percent of people surveyed for the Stand Alone report said there were some positive aspects to estrangement, like feeling more free and independent. If a family member is abusive, or affecting your health or other relationships, it might be time to move on.